Hegdon Hill vineyard is situated on a south facing elevated plot in the beautiful Herefordshire country-side, over looking the Black Mountains. It was planted in 2005 across 1.7 acres of land. The vineyard was planted by Martin Warr for his families enjoyment. 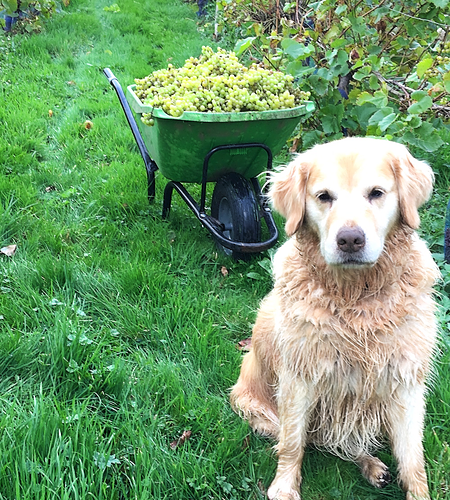 It quickly became a family affair with his wife, son and daughters helping Martin to grow and pick the grapes, which carried on year on year as a family tradition which they all throughly enjoy. Hegdon Hill winery grow a variety of limited edition wines. The vineyard which has 1700 vines, creates between 1,500- 2,000 bottles yearly. 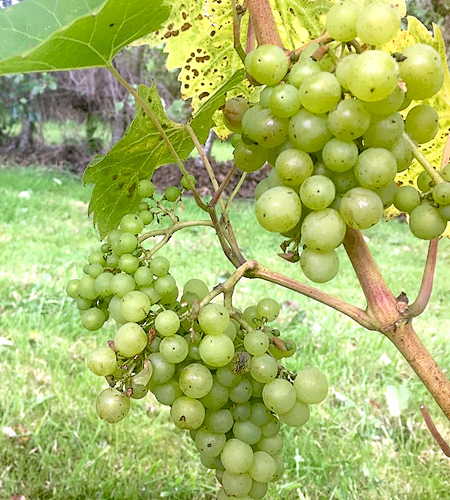 The Warr family grow a variety of grapes which are; Pheonix, Siegerrebe, Reichenstiener and Regent which allow them to produce, White, Red, Rosé, Sparkling White and Rosé Wine. Their first crop came in 2007 after waiting two years for the vines to mature. In 2011 they saw the first crop of Rosé. A couple of years later in 2014, White Sparkling Wine and Rosé Sparkling Wine were produced to make up the full Hedgon Hill range. The most beautiful setting for our vineyard, Herefordshire. We are one of the highest vineyards in Herefordshire meaning that we have the most beautiful views overlooking the county and the Black Mountains. Which makes growing, maintaining and picking the grapes an enjoyable and therapeutic experience. 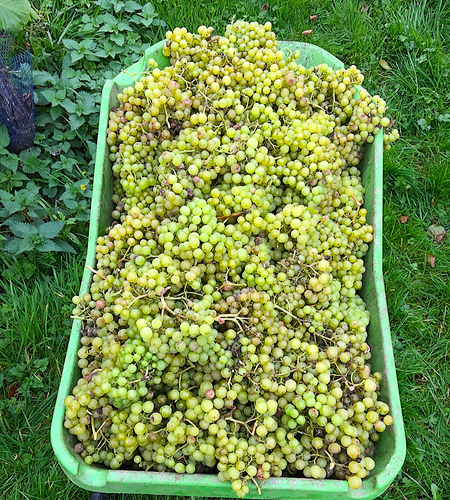 One of our wheelbarrows bursting with Pheonix grapes which makes our white and goes into our Rosé. 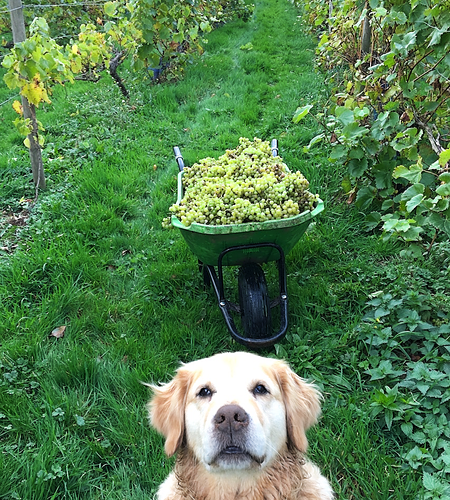 Daisy loves to wonder the vineyard, especially when Martin is outside, she follows his every step for hours.